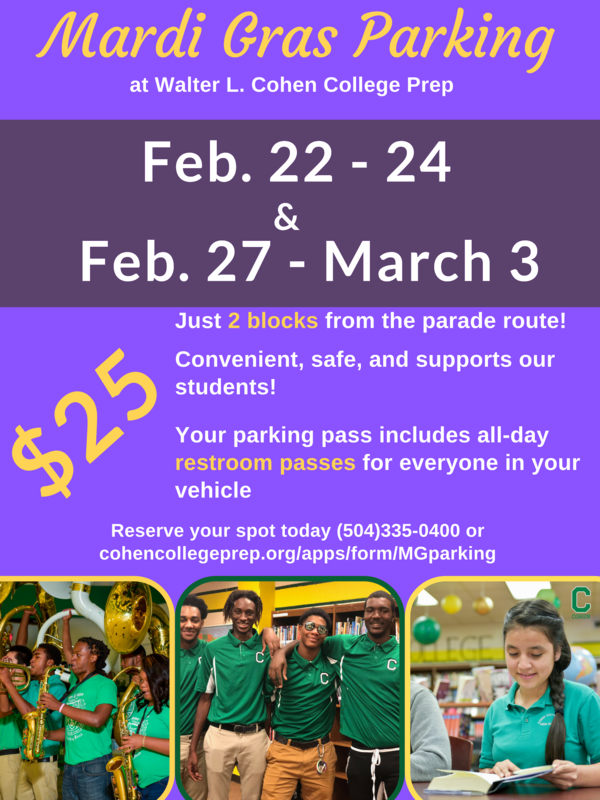 Cohen College prep offers convenient and safe parking just 2 blocks away from the parade route! $25 parking pass includes all-day restroom passes for everyone in your vehicle and we’ll have security on the lot at all times. We’re two blocks from the parade route! All proceeds benefit our students. The lot fills up so get there early on the day of the parade or reserve a spot ahead of time!